These documents are for LongRange runtime version 34 (RV34+). To check your runtime version do this. 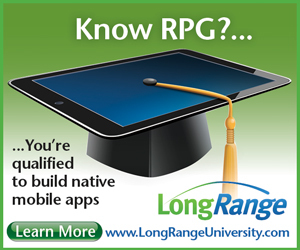 Note that this material only applies if you use RPG, Cobol or CL to code LongRange. Execute the HR Application and 75+ Examples on your Phone or Tablet. Do the RPG Tutorials or complete the COBOL Introduction. Connect with other developers on the User Forum. Either - Review the Programming LongRange with RPG Guide to reinforce what you know. Or - Review these COBOL Programming Techniques to deepen your knowledge. Start prototyping, designing and building your own App from the shipped building blocks. We recommend you view these documents using Internet Explorer 8 or higher, and on mobiles on Android 4 or higher or iOS.